The [tag-tec]HCG Weight Loss Diet[/tag-tec] entails a ‘[tag-tec]Phase 3[/tag-tec]’ after you stop taking the hormone. It is every bit as important as the initial weight loss for long term metabolic stability. Although Dr. Simeons’ book explained this phase, his book was not especially thorough on this topic. The following article fills in the gaps very nicely. Phase 3 of the HCG Diet The HCG diet is a weight loss program that combines a strict low-calorie diet and the use of the hormone HCG. The diet is supervised by a medical doctor and boasts weight loss in the difficult areas of the body such as the hips, stomach and thighs. 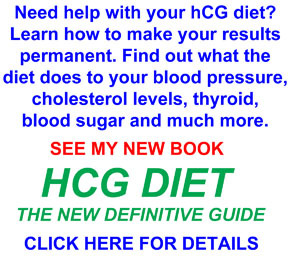 The third phase of the HCG diet is the maintenance portion of the diet, when dieters are happy to add back in some of the foods that were restricted in phases 1 and 2. Read More.